Taste Quality at Jaya Grocer's Taste New Zealand Food Fair! Have you heard about the very popular Taste New Zealand Food Fair? 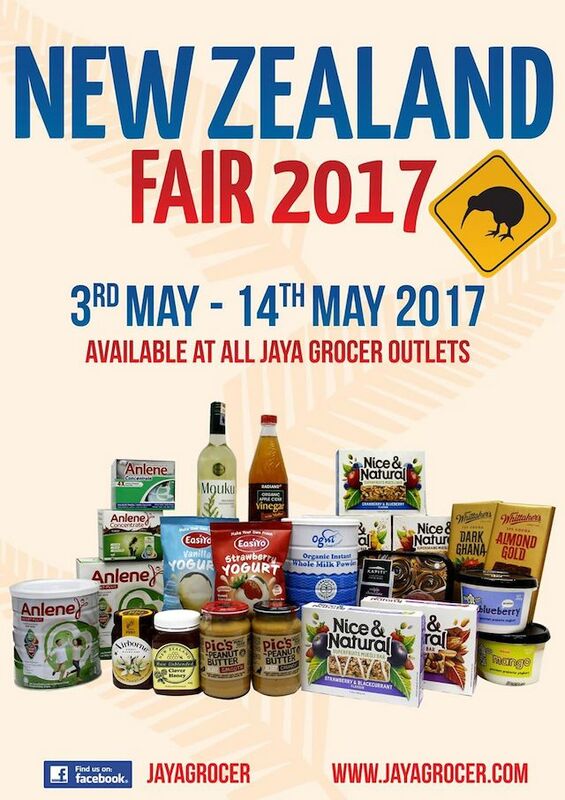 Well, it's back, organized by New Zealand Trade and Enterprise (NZTE), Taste New Zealand will be held at all 19 Jaya Grocer outlets nationwide from 3rd May to 21st May 2017. What is there to look forward to? Over 150 New Zealand products, with 30 new exclusive products featured! Be spoilt for choice. Read on. Taste New Zealand Food Fair offers quality, honest products comprising a delectable selection of new artisanal treats, guilt-free chocolates, premium New Zealand apples and kiwifruits. I have a whole lot of it at my home now, and it's awesome I tell you. New Zealand Fair, Be There! At the fair too, customers who spend RM50 in a single receipt at Jaya Grocer Taste New Zealand will be able to redeem an exclusive 60th Anniversary themed shopping bag and enter a lucky draw contest. 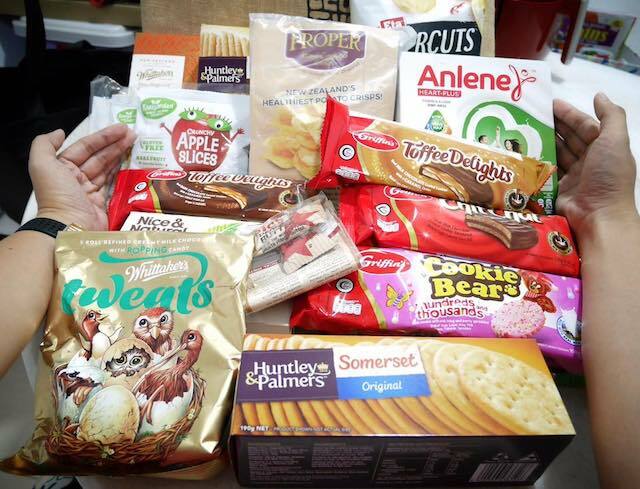 The grand prize winner will win RM888 worth of New Zealand products! If you haven't tried New Zealand’s leading dairy brands, Fonterra - Anlene Heart-Plus, then you must! It is the only high calcium milk in Malaysia with dual action formula that supports greater mobility (MoveMax) and heart health (HeartMax). he MoveMax formulation contains important nutrients such as magnesium, zinc, and Vitamins B, C, D & E to help care for bones, joints and muscles, while the HeartMax formulation contains Omega 3 (DHA + EPA), plant sterol, potassium, Vitamin B12 and folic acid that enables optimal cholesterol levels, blood pressures and blood sugar levels. Who doesn't love themselves some good ol high quality chocolates? At the fair, be on the look out for two new Whittaker’s’ new artisanal varieties – Fijian Ginger and Kerikeri Mandarin; a rich 62% dark chocolate infused with mandarin paired with luscious, crystalized ginger. I tried out the limited edition Sharebags – Whittaker’s Tweats of creamy milk chocolate with popping candy, and it's the best! Be sure to get New Zealand's No. 1 Biscuit Brand, Griffin too! Made with real New Zealand milk and milk chocolate, these are really delightful biscuits! 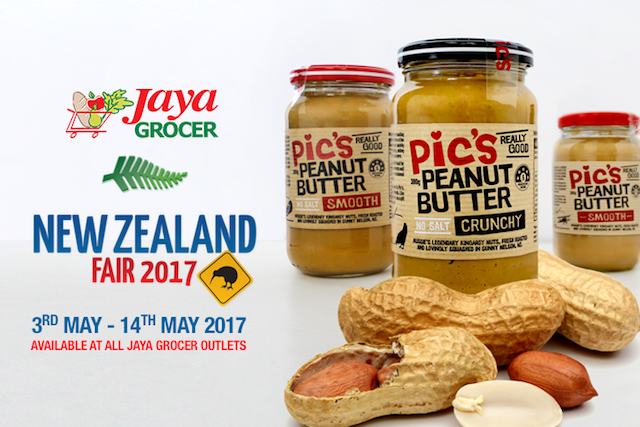 With over 150 products featured at Taste New Zealand, experience and taste quality at all 19 Jaya Grocer outlets from 3rd - 21st May 2017. Remember to follow them at www.facebook.com/newzealandfood for more information! Whitaker's is very popular but no, not for old folks like me, sweet.